Heeft u een vraag voor Phuoc An Hotel? Gerenoveerd in 2013, garandeert het Phuoc An Hotel gasten een plezierig verblijf in Hoi An voor zaken of plezier. Het hotel ligt niet zo ver van het stadscentrum: de afstand is ongeveer 0.5 km en het duurt normaal ongeveer 45 minuten om het vliegveld te bereiken. Dankzij de praktische locatie liggen alle belangrijke trekpleisters in de buurt van het hotel. De faciliteiten en diensten, geboden door het Phuoc An Hotel, garanderen een plezierig verblijf voor gasten. Enkele voorbeelden van faciliteiten die dit hotel biedt zijn 24-uur roomservice, gratis wi-fi in alle kamers, bagageopslag, wi-fi in openbare ruimtes, parkeerservice. De ambiance van het Phuoc An Hotel weerspiegelt zich in de inrichting van de kamers. plasma tv, internet (draadloos), draadloos internet (gratis), rookvrije kamers, airconditioning zijn slechts enkele van de faciliteiten die u ter beschikking staan. Hotelfaciliteiten als hot tub, zwembad (buiten) bieden alle gelegenheid om te ontspannen na een drukke dag. Ontdek een boeiende mix van professionele dienstverlening en een breed scala aan faciliteiten in het Phuoc An Hotel. Matrassen waren versleten. Kamer geruild maar hetzelfde probleem.. Het straatje is heel gezellig. Without question, this was our favorite place to stay in Vietnam. We we're treated like honored guests. The service here simply couldn't be better. We always like coffee first thing in the morning, so we always try to find a place that has a hot water maker in the room. This hotel vlisted it, but wasn't in the room. We asked about it and 5 minutes later we returned to the room and it was there. Asked for a couple more pillows, and they too magically appeared. The staff sent over and above to make sure our stay was perfect. We returned one afternoon dripping from the heat with one thing in mind. The pool! As we picked up the key we said we'd be right back for a dip in the pool. When we returned, towels were waiting for us and aa we entered the pool, the receptionist, Ly Ly appeared with a tray with two refreshing cold drinks served with cookies pool side. It just doesn't get any better than this! The daily breakfast was great with eggs cooked to order. Toast, baguettes, croissants, sweet rolls along with fruit juice, coffee and tea entire everyone will find something to start their day. You just can, beat this hotel for service, location and value. 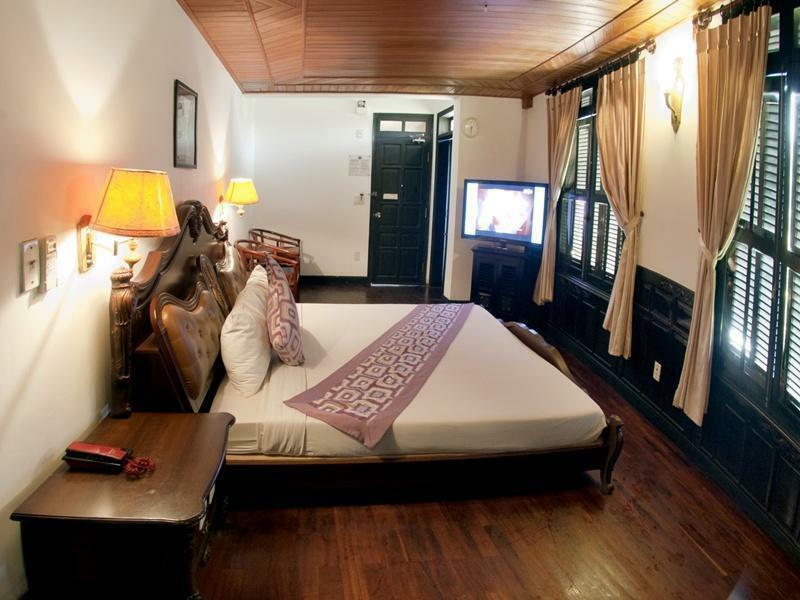 When we return to Hoi An, this is where we will be staying! - Staff were extremely friendly. - Breakfast was fantastic! Lots of choice and as it was a buffet you could be sure you were going to be full. 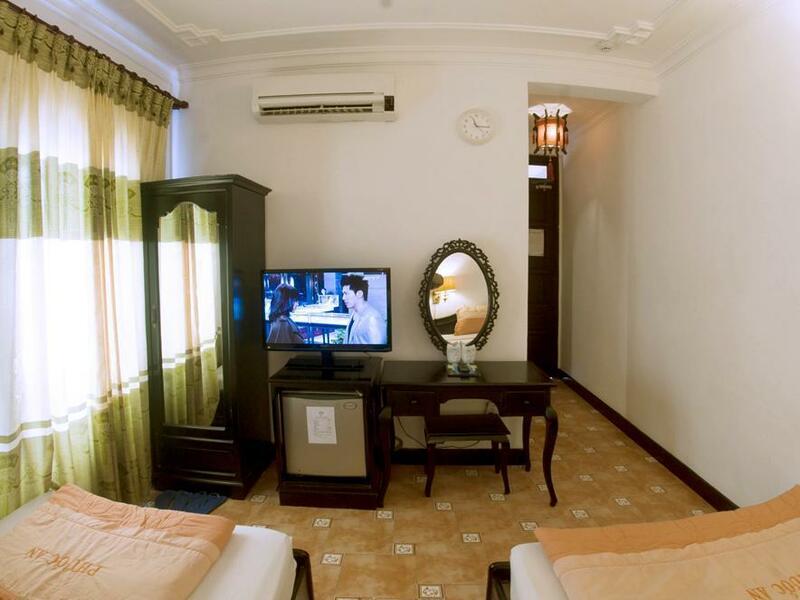 - Location an easy walk to the old town of hoi an. - Free bike hire was fantastic and allowed us to visit the nearby beach. Great little hotel 10min walk from the Old Town. Staff are excellent and super friendly and helpful. Didn't use small pool but nice having the option. Breakfast small but good, with eggs cooked to order. Air con good. WiFi good. Will return. Great service, comfortable room, good breakfast! At first, its interior location bothered me, but it turned out to be a quieter alternative to the buzzling area around the ancient town. The small street where it was located had its share of good restaurants and spas. The hotel has no lift so I opted for a room on a lower floor. The guy at the reception was very accommodating and helped settle my trip to Dalat with a bus company. I only stayed overnight, but the hotel certainly made a good impression. Breakfast was sufficient. Stayed for just a night but it was a very comfortable stay. Didn't use the swimming pool, but the room was quite spacious. The bicycle the hotel provided was the best mode to explore Hoi An's market and the ancient town, just a 5 min. ride away. We spent 4 great days in the Phuoc An Hotel. After the north we we're really happy to meet such good english speaking personnel. They tried to make everything poasible needed. Breakfast was good, Coffee with fresh milk and omelette excellent, we'd only wished more variaty in fruits, and muesli and cheese... Ask for the wonderful homemade yoghurt! Thanks to the free bicycle rental we we're in 3-5 minutes at the Japanese Bridge in the Old Quarter *clapclap* even if the old bikes are not recommemdable for longer rides. Apart from little communication mistakes (Motobike rental, Minibar consum) everything ok! Recommendation! We stayed for 2 nights with Phuoc An Hotel. It sufficed all our needs in terms of location, a bed and a shower. The breakfast in the morning was ok however very basic with limited options. The only issue we had was with the Wifi being here and there and the bathroom had no vent so the room smelt like mould. Otherwise this place for the price is completely okay. It is a pretty old style hotel compare to modernized ones, but very clean and decent. Only 5mins walk to the Old town, you can ride a bicycle to the town as well as the beach. I can easily give 10 points for the location! The only bad thing about this hotel was the bus company they use. I I used their bus to Hanoi. Myself and some other travellers had to move from one bus to another (several times) without any notice.The bus manager simply said "Im the bus manager, you follow me!" I wasted 1hour on the street in the super hot weather. It's not really about the hotel itself, but a little tip and feedback so no one has the same experience as mine. 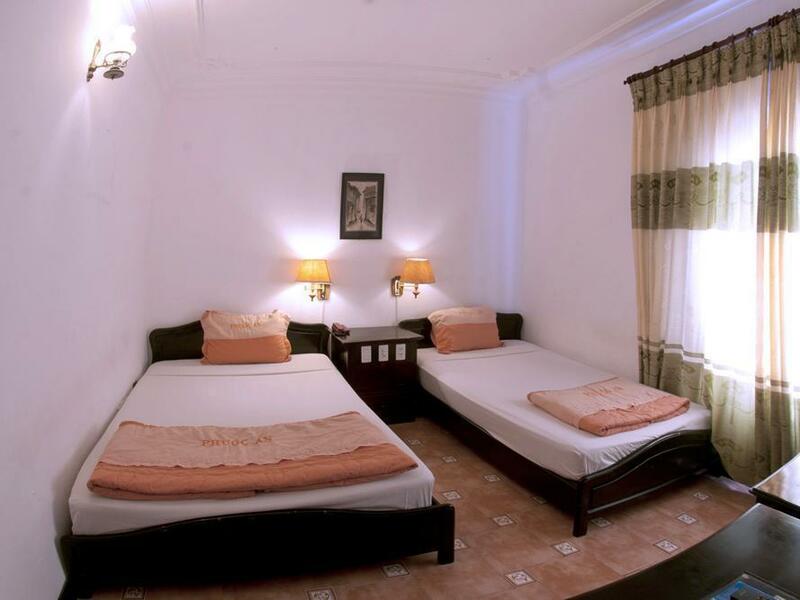 Great value for money,friendly staff and the hotel is located in the heart of the city! One can reach almost everywhere just by walking! And would come here again if visiting Hoi An in future. Highly recommended. The room was too clean and comfortable. Although it's just a small hotel but the breakfast has so many selection. The staff were friendly and they always try to help us. I would recomment this hotel to my friends. We booked for 4 nights on the recommendation of a friend but stayed 6. This was the best and most cost effective hotel we stayed in during our month long travels through Vietnam, Laos and Cambodia. The hotel had all we wanted. Small and friendly. Felt like part of the family. Staff could not do enough for us. Great breakfast included. Free bicycles to ride to the beach or around town. A nice pool to cool off in at the end of the day. All recommendations for restaurants or activities were spot on. Would recommend for anyone wanting their Hoi An stay to feel local friendly and relaxed. Not the sterile feel of large international hotels. management and staff really set this hotel apart from the others in Hoi Anh. the hotel is currently being redeveloped and will be one of the best in the area, if not the best! Fabulous! The staff make this hotel! The location is fantastic along with the amenities, rooms were clean and well maintained. The hotel has only been aquired by the new owner, in the last 2 months, the changes that their making will make it the best hotel in its price range in Hoi Anh. The staff go out of their way to assist you any way they can. They all reflect the true Vietnamese nature, of being warm friendly and carring. The hotel provides rent for bicycle with no charges. No much breakfast selection, but it is acceptable. The light in room is dim for us. The staffs are friendly & helpful. Stay was great, free bicycles are a plus, staff are friendly and welcoming, and the location to old town is perfect. Love the staff. Welcoming. Pool was cold and never really saw the filter on. The power sockets never hold the plug. Hotel changed one for us quickly. Shower was pointing out into room and not installed correctly. Hard tochave shower. Breakfast is great. Room was a little dark, lighting wasn't the best. Our room was cleaned daily. The pool area was tiny, only one lounge chair was in the sun. Fairly convenient location, 15 min. Walk to the riverside, can book transport or tours at front desk. There was a bath tub, but shower was in a weird position. Staff were good and the breakfast was just Ok but my room needs some serious work doing to it.The mattress was a very old spring mattress and just gave me a back ache.The shower rose height needs to be shifted, I had to bend down to shower.The key slot for the power was faulty so they gave me a piece of cardboard to wedge in it,it took 3 or 4 tries to get it to work each time I came back to my room.The door lock was that noisy I could hear the other rooms coming and going.No coffee or tea in the rooms.If they fixed these issues they would a decent hotel but until they do I won't be coming back.